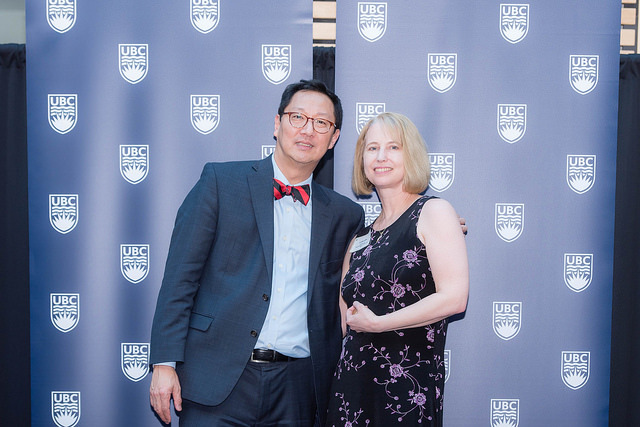 Congratulations to lab manager Linda Ellis, who was recently honoured at UBC’s annual “25 Year Club” banquet for her 25 years of service to the university! 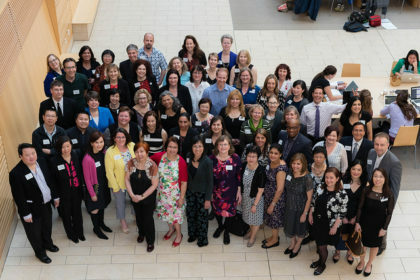 The UBC 25 Year Club was established in 1971 by President Walter Gage to recognize staff with 25 years of uninterrupted or accumulated service. The Weinberg Lab is so grateful for all of Linda’s hard work and dedication these last 25 years! Congratulations Linda!!! Lab Manager Linda Ellis pictured here with UBC president Santa Ono at the “25 Year Club” celebration banquet.